Available from online vendors so I will not be posting a sample. Presented here to share the cover and bio information. 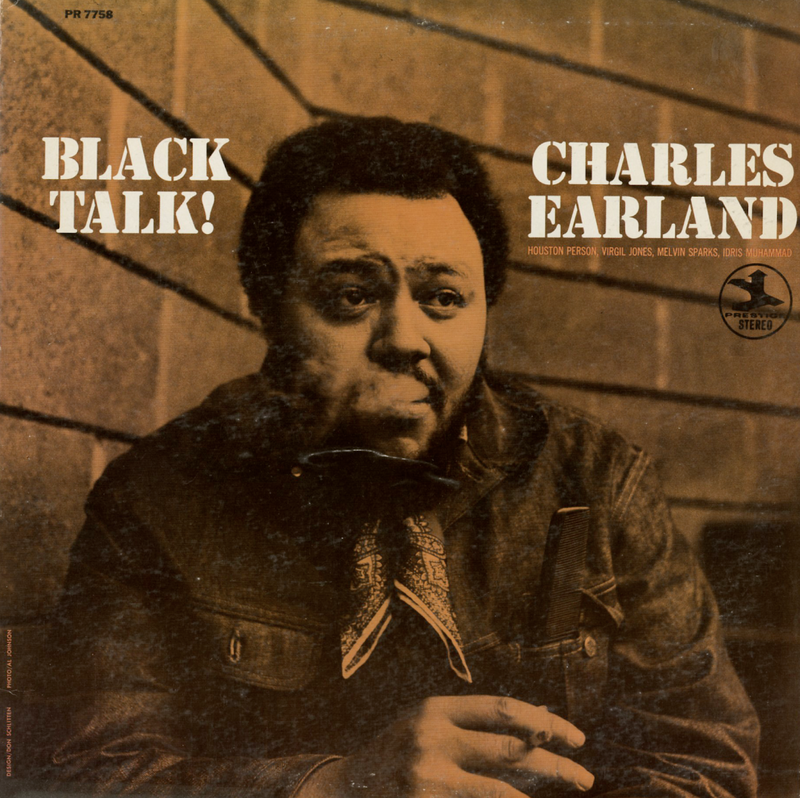 From the back cover: Charlie Earland has referred to himself as a product of the ghetto. In his particular case, the ghetto referred to is South Philadelphia. Still, Charlie reflects the honesty and vision of modern Black men and there is more pride than resentment when he discusses his upbringing. One gains the impression that he has strong roots in his community and that his music speaks not only for himself but for his home turf. It wasn't by accident that this album was titled Black Talk! The evolutionary process which led to the making of this album began on May 24, 1941 when Charlie was born. His interest in music started early and by the time he was a teenager he played alto sax with a good deal of proficiency. Soon he picked up on tenor and baritone as well. Among his high school classmates were guitarist Pat Martino and reedman Lew Tabackin and not far from his house in South Philly was the home where the Heath brothers – Percy, Jimmy and Tootie – were brought up. Thus the scene was musically stimulating. Music proved to be a lure for the young reedman and before he could finish school, he took to the road. His first major gig was as a tenor man in Jimmy McGriff's combo at age 17 and this association lasted until he fronted his first band, about two years later, with Gene Ludwig on organ. Later he worked with Pat Martino, prior to Pat's joining Willis Jackson. The switch to organ came in 1963 and Charlie credits the late drummer Specs Wright with encouraging him to make the move. When Charlie first started playing, he was a long way from being a polished performer. As he puts it, "I could play the blues and When Johnny Comes Marching Home and that was it." By 1965, Charlie had a quartet and he still things very highly of this band which had Joe Jefferson on tenor, Jimmy Ponder on guitar and Jesse Kilpatrick on drums. The group lasted for more than a year when lack of work caused the band to break up. The next association was one which brought Charlie his greatest recognition to date; featured organist with Lou Donaldson. Anyone who caught the Donaldson band during 1968-60 will hardly forget the happy spirit of the group. Pencils and scorecards could not capture the feeling that this band achieved. Charlie was featured on Lou's Blue Note albums – Black and Proud and Hot Dog – and his powerful drive was a contributing factor to the success of those albums. Charlie departed the Donaldson band in December of 1969 to resume leading his own group – a trio – now working in Philadelphia.